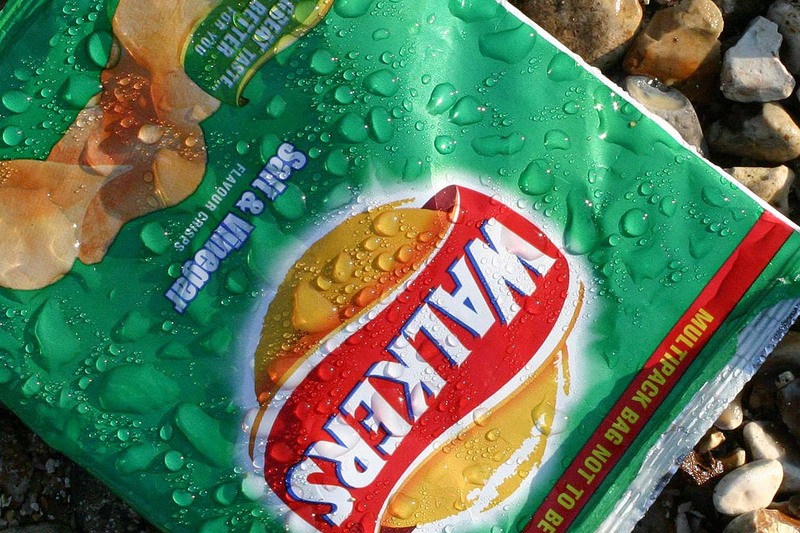 Following a viral campaign that saw members of the public posting their empty crisp packets back to Walkers, the company has announced plans to launch a recycling scheme for the much-littered packaging. A petition was published last year on campaigns website 38 Degrees, asking the UK’s biggest crisp manufacturer to make its packets recyclable. Geraint Ashcroft, a 61-year-old retired teacher from Pontypridd in Wales, initiated the campaign that was shared on social media with the hashtag #PacketInWalkers. As the petition progressed, consumers began sharing images of themselves posting their empty packets back to Walkers. In conversation with HuffPost UK, Ashcroft said the campaign aimed to “number one, raise awareness of the the fact they [the packets] can’t be recycled and number two it puts the onus back on Walkers. The campaign went viral, prompting the Royal Mail to say it could cause problems at depots; as the packets were being posted without envelopes, they could not go through the sorting machines, requiring workers to sort the packets by hand. Now, it seems Walkers has taken notice, showing the power of public opinion to influence big business – the company is actively asking people to send their packets back (this time in envelopes) as part of a new recycling scheme in partnership with recycling company Terracycle. With Walkers’ parent company, PepsiCo UK, funding the project, Terracycle will be accepting crisp packets of all brands from December. Consumers will be able to download and print out free postage labels from Terracycle, or drop the items into public access collection points across the UK. Terracycle, which recycles a number of difficult-to-process items through similar privately-funded schemes, will then be shredding the packets and turning them into new products. “We share people’s concerns about the amount of plastic in our environment,” said PepsiCo UK’s General Manager Ian Ellington, “and are working on a number of both short and long term solutions to reduce the impact of our packaging. The problem with crisp packets is that they are currently made from metallised plastic – polymer coated on one side with a thin layer of aluminium – making them extremely difficult and costly to recycle. Until now, the only possible destination for the packets has been the general waste bin, meaning millions of them end up in landfill and incineration, as well as littering the natural environment, where they remain for years, with ‘vintage’ crisp packets from the 60s, 70s and 80s turning up regularly during beach cleans. Walkers’ announcement has been met with widespread acclaim, but the Terracycle scheme cannot hope to capture more than a minute percentage of the more huge amount of crisp packets thrown out every day – Walkers alone produces more than 11 million packets every day. As part of the UK Plastics Pact, the company has committed to making its packets recyclable, compostable or biodegradable by 2025; the Walkers website states that trials of plant and paper-based packaging materials are currently taking place in the US, Chile and India. Reducing consumption of crisps in the UK is not likely, so more companies will need to invest in developing new, simpler packaging materials to reduce the waste created by the UK’s favourite snack. A new wide-ranging UK Plastics Pact has been launched today, which will see a range of businesses from across industry commit to eliminating ‘unnecessary’ single-use plastic packaging by 2025. The charity has issued new guidance designed to clarify the confusion around different types of plastic packaging and how they are used.